Whilst I absolutely adore this classic, timeless design; it's the concept behind L'Air du Temps that I think would make this a very special Christmas gift. The fragrance was launched in 1948, shortly after the World War II. The two doves on the top are a symbol of peace, whilst the scent itself was intended to reflect the aura of hope and optimism - something that was very much needed at the time. The scent itself is vintage, floral and spicy - very unique and classic! If you are looking for a Christmas fragrance for your better-half, I honestly couldn't recommend this one enough. 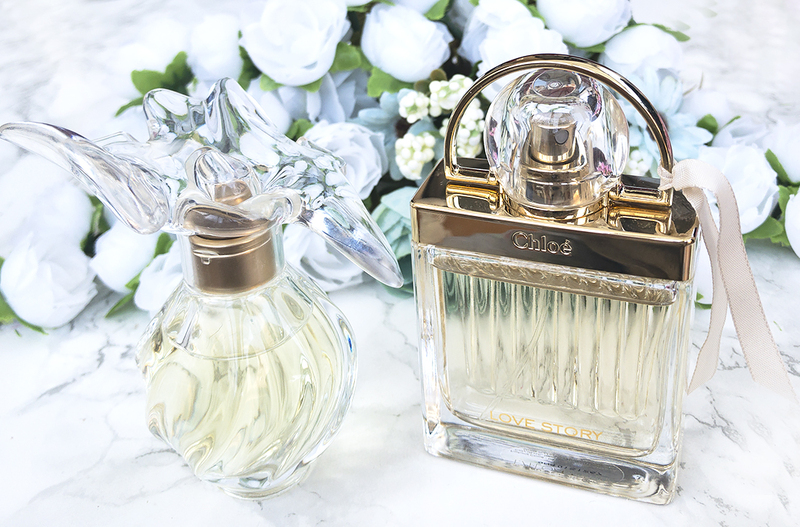 Everything about Love Story emanates romance - the bottle design is elegant and slightly vintage; inspired by the love padlocks on the Pont des Arts bridge in Paris. 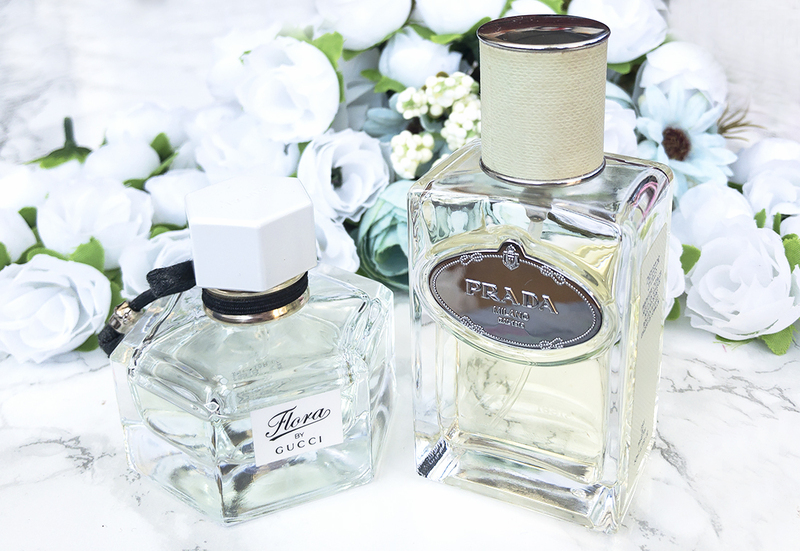 The scent itself is clean and inoffensive; combining notes of orange blossom and jasmine (a flower that's commonly used in wedding bouquets). It smells feminine, floral and incredibly delicate. 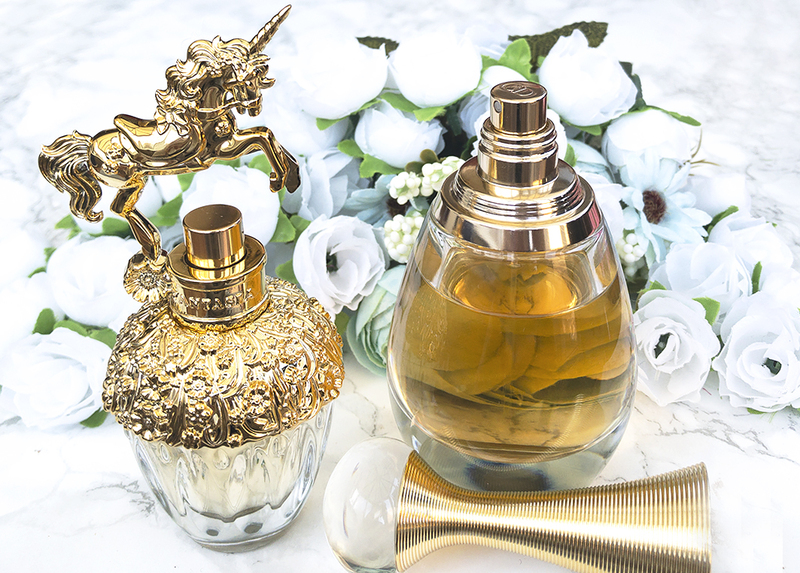 According to Anna Sui, this perfume 'speaks to the dreams and aspirations we had as children, that remain with us somewhere down deep, even as adults'. I think that makes for a lovely fragrance concept, especially since the bottle is already so beautiful and enchanting. The scent itself makes me think of a big basket of freshly picked citruses, with a hint of sugary sweetness. It's not particularly unique, but rather simple, likeable, and easy to enjoy on any occasion. 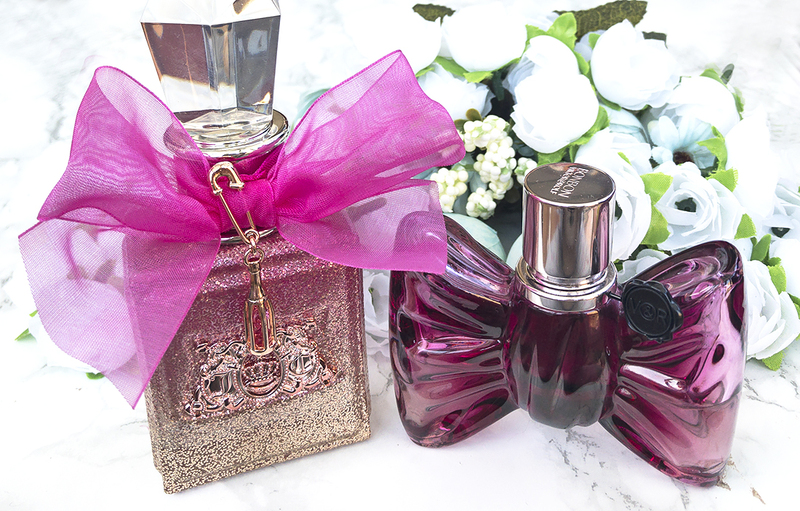 L'Absolu is a heavier, more luxurious version of the original bestseller - J'Adore. This edition smells like an expensive bouquet of fresh, white flowers. The composition combines exotic notes of jasmine, ylang-ylang and tuberose, with a slight hint of woods and dried fruits. It's more sophisticated and mature than the original J'Adore; whilst still warm, likeable and easy to wear. The bottle is gorgeous and expensive-looking, making it a wonderful Christmas gift idea. Miss Dior Cherie needs no introduction - this is one of the most popular, best-selling fragrances of the last decade. It's universally loved, and a pretty safe bet that whoever you buy it for will absolutely adore it. 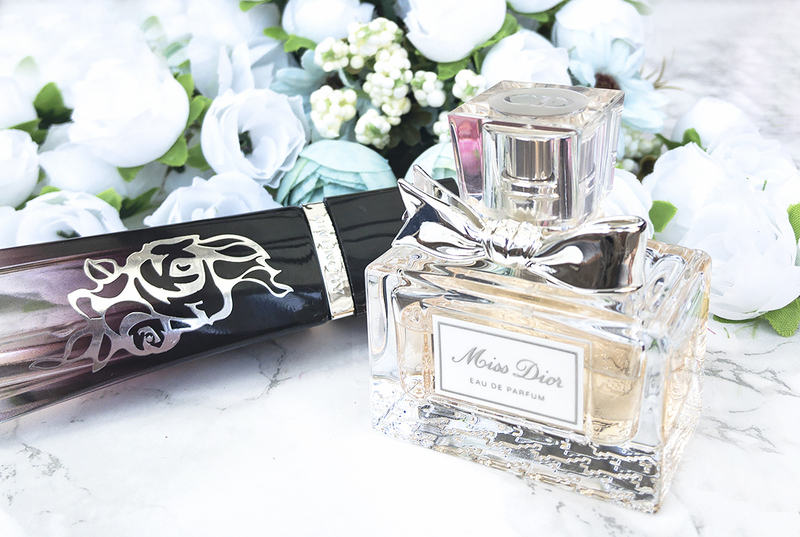 Miss Dior Cherie smells feminine and sophisticated; but there is also something very playful and flirty about it. The scent combines notes of juicy strawberries, soft jasmine and dark oakmoss, which gives it a slight earthy-woodsy feel. This perfume smells like a cosy winter evening in a bottle. It's dark, mysterious, and a little edgy. The composition brings together the scent of ripe, juicy plums on the bed of delicate roses; with a sharp, earthy patchouli undertone. It's a unique composition of seemingly contrasting accords, which come together beautifully to create a truly memorable fragrance. Definitely recommend this if you're looking for something captivating and non-mainstream! Whilst lovely as a Christmas gift, this perfumes really is the essence of spring captured in a bottle. Delicate and fresh, like a cool morning breeze; with lush, sweet-smelling citrus notes of mandarin and kumquat. Flora Eau Fraiche is incredibly zesty and uplifting, whilst still distinctively feminine. Smelling it like enjoying a glass of freshly poured iced green tea on a warm spring evening, in a garden of blossoming peonies. A must have for any lovers of fresh, carefree scents! This scent is like a fragrant definition of class and elegance. Simple, modern and fresh - this isn't your typical crowd-pleaser. The composition is a clean, straight-up iris - crisp and cold. The iris in this smells very 'pure', not powdery like in many other mainstream scents. It's accompanied by fresh citrus accords, as well as hints of incense and benzoin in the base. It smells elegant and sophisticated, yet simple and uncomplicated. Perfect if you're looking for something more unique. This is a more sparkling, fresh and 'pink' version of the original Viva La Juicy, which some of you may be familiar with. It smells so bubbly and fizzy, like a glass of freshly poured champagne (which would match the name 'Rosé', referring to rosé wine, as opposed to a rose flower), on the bed of delicate peony flowers. It's youthful, vibrant and uplifting, and I think that the sparkling, glitter-coated bottle matches the scent very well - plus it will look great on any vanity! This is, hands down, one of the most delicious perfumes I've ever smelled. If I had to sum it up in one sentence, I'd say that it smells like a yummy caramel dessert with thick slices of juicy peach on top. BonBon is girly, likeable, and very, very sweet. Caramel is definitely the main note here, surrounded by a colourful palette of fruity-floral accords. This fragrance honestly smells good enough to eat, and I couldn't recommend it enough - it would be a lovely gift for anyone with a sweet tooth! 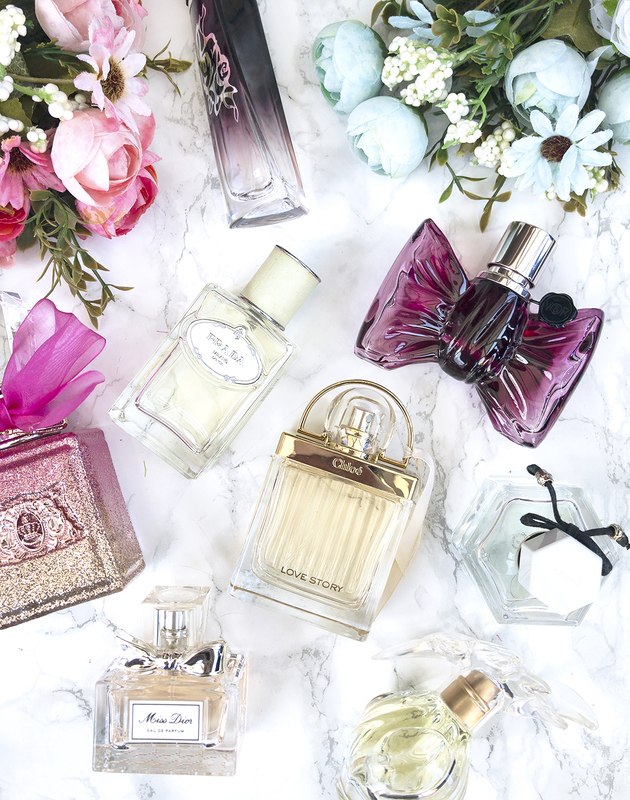 Do you gift fragrances for Christmas? What are your favourites?